Let's explore the various markets available for the earthworms you are raising, plan to raise, or hope and pray to raise. Raise earthworms for sport fishing bait. Raise earthworms for organic gardening (home vermicomposting). Raise earthworms for organic waste conversion (municipal and large scale vermicomposting). Raise earthworms for worm castings and potting soil/garden soil amendment. Raise earthworms for farm soil improvement. Raise earthworms for breeding stock. With all the fancy-smancy lures and artificial baits available to the fisherman, the earthworm is still his bait of choice. And once he gets a taste (or, rather his targeted fish gets a taste) of the European nightcrawler, he may never go back. Since this fantastic worm is relatively new to the U.S., you may well be the only source in your area. Supply bait shops and get the word out to your local fishing community - you can sell all the European nightcrawlers you can raise. And, don't forget the red worms. Many fishermen are familiar with the red worm and may want to continue using it. With some of my tips for growing bigger worms, you can easily get this worm up to bait size to supply your die-hard red worm fans. Organic gardening has never been more popular. Well, actually organic gardening used to be the only way to garden, but fell out of favor once chemical fertilizers became widely available. But, lately, with the rising cost of these petroleum based chemical fertilizers and the rising popularity of "going green", folks are returning to the organic gardening methods of our ancestors. And one of the best, fastest and cheapest ways to acquire organic fertilizers and soil amendments for organic gardens is via vermicomposting. Vermicomposting means composting with worms. Organic materials in traditional compost piles, when vermicomposted instead, breaks down fastest, is richer (because of the worm castings or poop) , and is alive with microbes. 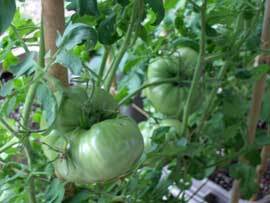 The calcium in vermicompost is also higher, which is hard to supply organically. 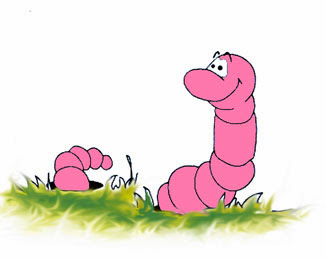 You may not be able to raise enough red worms and keep them long enough for fattening to bait size because of the vermicomposting demand. You can sell both red worms and European nightcrawlers for vermicomposting, although the red worm is generally considered the premier composting earthworm. For the same reasons as stated above, municipalities and large (and not so large) corporations are setting up large vermicomposting operations for the purpose of converting enormous quantities of organic waste into compost. It makes sense because it saves money, protects the environment, and can be used as a public relations tool. Businesses are well aware of the "green movement" and are using green methods where ever they can and are talking about it. The cost for setting up large scale vermicomposting operations - quite high. The cost for stocking it with YOUR worms - substantial. The positive PR - priceless. Even though home vermicomposting is very popular now as a way to replace expensive chemical fertilizers , there is still a huge market for supplying worm castings fertilizer and vermicompost to organic gardeners. There will always be folks out there who either don't have the time or don't want to bother making it themselves. Not to worry, that's where you come in. Even if you don't have the intention of raising worms for the vermicompost, you are going to have tons of it as a "by-product" of you worm production. Look on it as "free money". After you've loaded your own property, taken care of your neighbors', friend's and family's lawns and gardens, there's still plenty of this good stuff to bag up and sale. Don't over look this lucrative market. Discover all the ways to make money growing earthworms. Minimize problems and maximize profits following my Worm Farm Manual: A Step-By-Step Guide To Raising Earthworms. European Nightcrawlers: One tough fishing worm. You could be the exclusive source in your area. Great composting worm, too. Worm Farm Manual: Order today and get started growing earthworms. So you want to start a worm farm and you want it to succeed. Success means your worms stay alive and reproduce and you make a profit. Maybe you have a job or business and just want to supplement your income. Or, maybe you want to leave your job and make your income entirely from worm farming. Either way, successful worm farming requires much the same as any other business endeavor. Remains flexible - Change what's not working. Forget "Build it and they will come". Don't expect to build a worm farm and wait for the customers to find you. Whether it's driving around a 50 or 100 mile radius of where you are located and calling on bait shops, pet shops, specialty chicken farmers, etc., or building a website and marketing your worms online, you have to actively market your worms. The more repeat buyers you can acquire, the better. Once you establish a customer who purchases worms from you regularly, please, please, please, do whatever is takes to keep that customer happy. A repeat customer should be cherished above all things. This is not a "get rich quick" scheme. To make your worm farm a success, be realistic about how much work is involved, how much time is required, and how much money you can make. Do you know the biggest cause of failure in worm farming? Neglect. Worms are living creatures and required tending to. If you aren't paying attention, if you get distracted, problems arise (and I assure you they do). If you are paying attention, these problems can be address before they do any damage. Take care of your worm business and it will take care of you. If you have no experience with raising earthworms, I implore you to start small. You can learn a great deal by building one worm bed and stocking it with a few pounds of worms. Once you get a little experience (and I'm not talking about a great deal of time here, maybe a month or two) you can add more beds. It's a whole lot easier to deal with unfamiliar problems when you only have a few pounds of worms. Give it a month and I guarantee you will learn how to care for worms and be better prepared for multiple worm beds in no time at all. Let's continue with the worm castings﻿ market. If you're raising earthworms, you're going to have tons of this highly valued fertilizer. Did you know that a 3x8x1 foot bed can produce 600 pounds of of worm castings? This poundage does not include any decomposed organic material that remains from the bedding. This castings/compost is called vermicompost, an excellent soil amendment. You can separate out as much of the organic material as possible, leaving mostly castings, and sell for a higher price. Since it is concentrated and you can dry it somewhat, shipping is not a problem Or, simple bag up the old bedding after removing your worms and sell as-is locally to farmers and gardeners. The extra weight of vermicompost, however, would make shipping costs prohibitive. Sell your worm castings wholesale by the ton to nurseries and farmers, or realize a bigger profit and sell it bagged retail. Generally, you should bag up your pure worm castings in 5#, 10#, 20#, and 40# bags. The vermicompost can be sold in 40# bags or by the truck load. Selling retail requires more work and time, like advertising and making individual transactions. But, since the profit is higher, you may want to investigate the possibility if you have plenty of help from the family. Check out your area for nurseries, farmers, gardeners, local governments, etc. for future worm castings/vermicompost sales. Once your own lawn or garden is covered with it and thriving, you've got to get rid of it somehow. And get some cash back in return, of course. No doubt about it, worm castings grow bigger tomatoes. 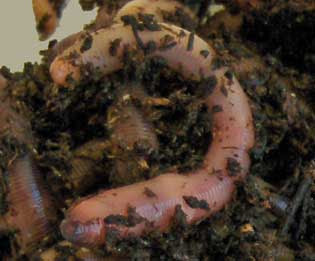 Market your worm castings to gardeners, farmers and nurseries for extra profit. The stuff practically sells itself. Tap into this exploding market for worm castings. 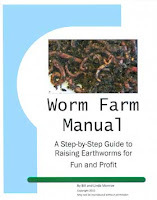 My Worm Farm Manual: How To Grow Earthworms For Fun and Profit shows you how to set up your worm farm for bait and castings. Discover tips, how-to's and how to avoid and fix problems.